This year I'm excited to be co-chairing Tower's biennial Auction Acquisitions Committee--also serving on the committee is fellow alum Alison Quade Spring '95. The auction is a fun and exciting community event that has been happening at Tower for ages. I specifically remember one year waking up in sheer excitement, thrilled to see my parents had won the class quilt we had made! It was hanging over the bannister outside my room, and it currently is living in a cedar closet with some other special quilts that were made for my children. The auction, held this April, is a well-loved Tower tradition! The money raised at the auction has two main functions, it funds the entire budget for the Cultural Enrichment Program for the students and contributes to the Professional Development Program for the faculty (see below for examples). Do you have a business and you could donate goods or services? Have access to a lake house, beach house, vacation house, ski house, ranch house you would like to share for a day, a week, a weekend? Have connections to local businesses? My family is back at Tower with the next generation; Lockwood is in 2nd Grade, Millie just started kindergarten and Charlie is anxiously awaiting his turn to join in. Many things remain the same—Mr. Shepard is playing the recorder, Susie Schneider is making math creative and fun, we are sitting on the floor in front of the Georgia K Sledge Performing Arts stage for assemblies, and students are involved in the same service programs as we were like Adopt-a-Grandparent and My Brothers Table. While much remains the same, Tower is changing and expanding, too! We have REALLY exciting things happening such as a Backyard Master Plan which will transform our athletic and science programs, technology is introduced in all the grades, coding is considered a core language alongside Spanish, and we have a beautiful new art gallery to showcase both student and alumni art (come check out Emma Garfield '08 and Ellie Tomlinson's work right now-- AMAZING!). 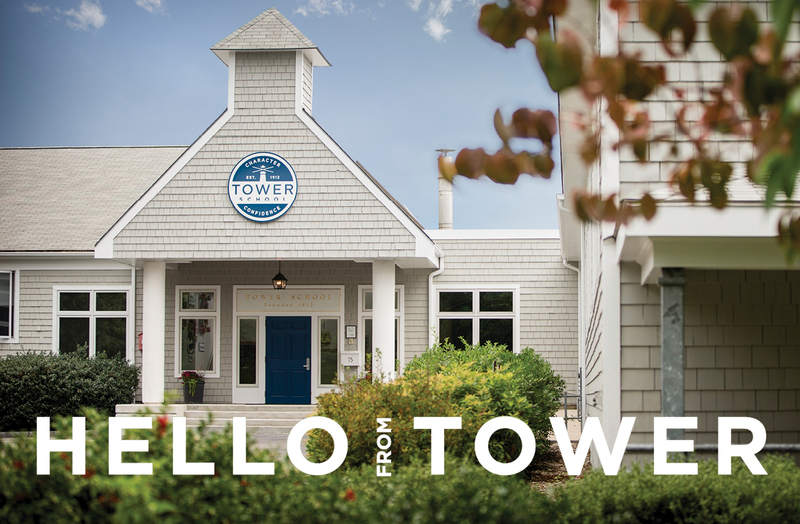 This was a longwinded but heartfelt email to say, I hope you have fond memories of your days at Tower and would be willing to support Tower now, in any way that works for you and your family. A little info on what the Auction funds just so you know-- its pretty cool how they use the money raised...The funds raised from the auction are integral to funding the entire Cultural Arts student program for two years and supporting the Professional Development program for faculty. Professional Development encourages faculty members to explore opportunities and expand their knowledge and passion. They, in turn, enrich the classroom experience they are able to offer to the students. One highlight is History teacher Sig Orne's recent trip tracing the route of westward expansion by traveling in the footsteps of early settlers along the Oregon Trail. Her primary-source experience brings learning to life for her Grade 7 and 8 students. Cultural Enrichment offers programming that enhances students' breadth of experience. Did your child want to be a meteorologist after meeting Dave Epstein or an author or illustrator after attending Matt Tavares' workshop? The experiences from the past year, and ones planned in the future, are made possible by funds from the auction.